It doesn’t matter if this is your first year of teaching or if it’s your twentieth year in the trenches of education—classroom design is always important. After all, this is where you and your students will spend the majority of your day at least five days a week. As a teacher, you want to create an environment of warmth and security, but you also want a place that fosters productive learning. To do that, you need to think about how to create a floor plan for your room that meets all your needs. If your students are young, the way your classroom looks will be especially important. Decorations on the wall should be educational but not things that will distract the students from learning. The size of your chairs, tables, and desks will matter, too, as you want students to feel comfortable where they are. How many students you have in your classroom will help determine how to make the most of setting up your room. If you are teaching small groups of kids, it may be easier to set up designated areas of the room that they can move around to for hands-on learning. For larger numbers, you will want to think about the traffic pattern in the room and use innovative classroom furniture. Stools instead of chairs are a great way to help utilize space as they can be easily stored under a table or desk and are light enough to transport to different areas of the room as needed. With larger groups, you may want to arrange desks in small pods to create collaborative learning opportunities or if you prefer to see all the students at once, arrange your tables and desks into a horseshoe. What kind of lessons will you be sharing with your students? Are you lecture based? Or do you prefer more hands-on learning? This will definitely affect your classroom design. Traditional classrooms are set up in a lecture format with the desks in rows and the teacher at the front. If you are planning group activities where students have to collaborate and share ideas, the lecture format may not work for you. It’s easier for students to work in pods to accomplish collaborative learning so you may want to use tables instead of desks. You can designate areas of the room where this type of learning can occur, or you can set up the room so that all areas allow for this. This decision will also dictate the traffic patterns in your room. Remember, traffic flow matters because it can affect the efficiency of how your classroom runs and it can help control behaviour issues. 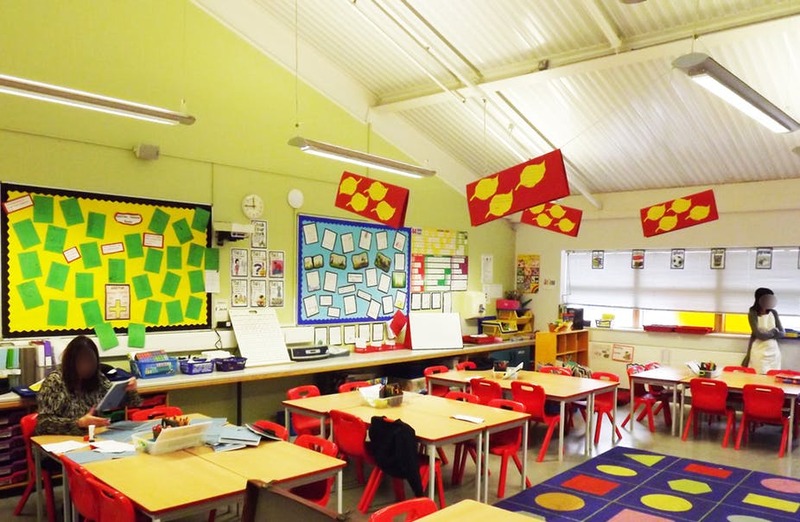 Classroom environment plays a role in successful student learning. Creating a strong classroom floor plan will help them meet the challenges today’s students face.